For meat lovers like myself, you will definitely love Big D’s Smokehouse. 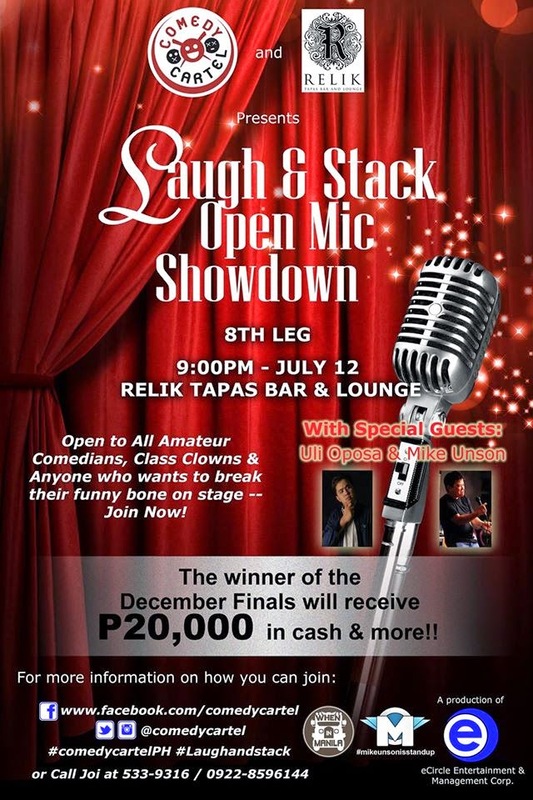 I got to try their best sellers during Comedy Cartel’s Laugh and Stack Leg 15 which happened last Saturday, November 7, 2014. Big D’s Eastwood branch just opened last August and had been making it big since then. I’ve been hearing a lot about their ribs and was really excited to try it for myself. If you’re on instagram, do search for #ribsthatrock and drool! One of the owners, Chef Dino welcomed us with their house blended iced tea while we were waiting for our food to be served. I rarely get the chance to meet restaurant owners during reviews/food tasting and I was really grateful that Chef Dino spent some time with us (their staff are not so friendly but could improve in the long run). Chef Dino said, this recipe is originally from his mom that he had recreated. I love the combination of cheese and garlic sauce and the roasted pimiento inside just made this appetizer extra special. Big D’s version of the most ordered appetizer is just amazing. I love that they used pulled pork instead of the usual grilled pork or beef. The Taco Shells are super thin too and tastes great. Perfectly cooked and perfectly plated dish. This could feed two people because of it’s hefty serving. One of the best tasting ribs I’ve ever tried. I prefer eating it without the sauce. I haven’t tasted a twice fried ribs until I dined at Big D’s. It’s perfectly cooked and having vinegar as its dip is just superb. More of a Filipino dish for me. I would say that if it’s not cheap, then it’s fairly priced. This one’s not yet on the menu and Chef Dino has yet to decide what to name this dish. We’re so luck to be one of the few people who got to taste this first. It’s really good and the meat was perfectly cooked. If this would be the serving size, then it could feed 2-3 persons. Big D’s is located at 2/F Citywalk 2 (directly above Starbucks), Eastwood City, Quezon City. 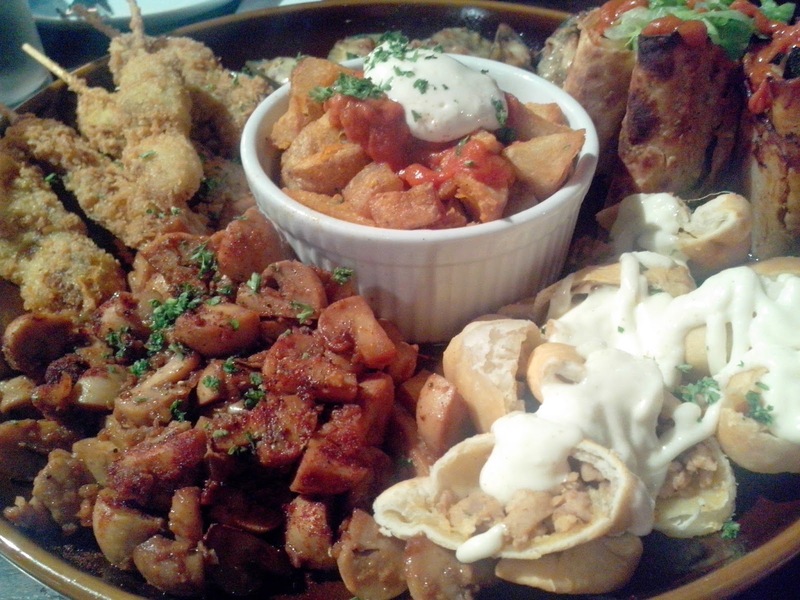 Zomato organized a Foodie Meet-up at Tomahawk, Kapitolyo last Wednesday. Because it was just a stone-throw away from my office, I attended the meet-up and walked away with a happy heart and tummy. Tomahawk just opened last June 2014 and has been getting a lot of good feedback since then. When I entered the restaurant, I thought it was pretty small but I didn’t realized that it has a second level until one of the waiters led me to our table. Tomahawk has a nice interior and cool frames with quotations that will bring in some good vibes. It’s perfect for team buildings and small gatherings as they can accommodate up to 50 pax. 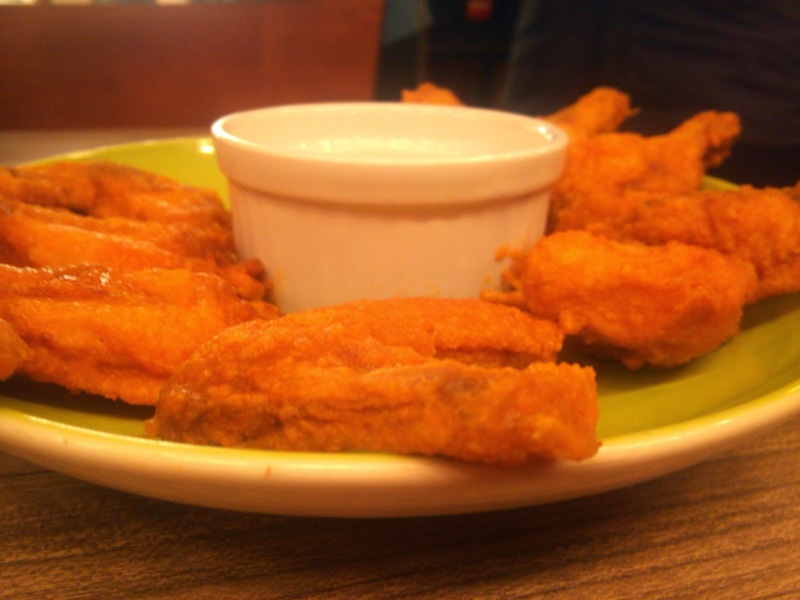 It was my first time to attend Zomato’s foodie meet-up and I liked how they do it. Before the much awaited food tasting, we were given the chance to get to know our fellow foodies. Everyone has to do a short introduction about their selves and that made us comfortable. Wouldn’t it be nice to dine with people whom you know? To start of, we were served with five appetizers. I personally love their buffalo wings which was perfectly cooked. I didn’t have to dip it because it was already good on its own. Among all the chops that were served to us, my top pick is Grilled Tomahawk Chops with Dirty Rice and Mac and cheese. They have a hefty serving which be shared by two. I hate how their dirty rice can ruin one’s diet. It was extremely good! Their Grilled hanger steak with wine sauce was the star of the night. This is not yet included on their menu but every foodie who attended the meet-up approved that this should be served at Tomahawk ASAP. I am a sucker for medium rare steak so, this is definitely what I am going to order on my next visit. I think I can eat their steak on a daily basis. Haha! I was so happy when we had another round of Hanger Steak. Well, aside from the Grilled Tomahawk chops, I bet my husband will love their Grilled Rosemary Chicken with Dirty rice and Mashed potatoes. Rosemary blended well with their chicken. Also a must-try is Tomahawk’s Sausage and Sauerkraut with a big serving of fries. I am not really a fan of sausages but their sausage is just too good to resist. Match any of their dishes with Peach Iced Tea Carafes or any of their imported beers for a more delightful experience. There were a lot of dishes that were served to us, but the dishes that I have mentioned are the ones that I highly recommend. Visit this resto soon to know how to enjoy food #TheTomahawkWay! Mega Mall is one of our favorite Shopping destinations in the metro. Aside from the vicinity, this mall has a lot to offer. Specially for foodies like us. We’re lucky to be part of the last Mega Food tour for the year and dining with 9 restaurants with Anton Diaz of our Awesome Planet is a bonus. It’s great that SM Mega Mall came up with this idea because it’s a sure way to market their new restaurants. After all, who do you trust when it comes to restaurant recommendations but foodies or bloggers. The tour started at 5:00 PM with 18 attendees that were grouped into two to maximize the time. 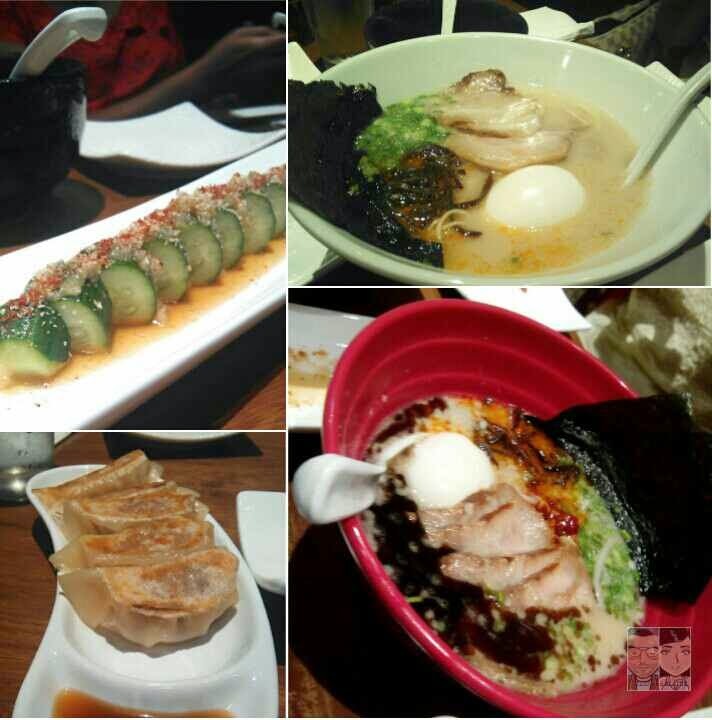 Sharing with you some photos of the yummy dishes that we enjoyed last September 30. Ippudo. This is one of the most intriguing new restaurants at the Mega Fashion Hall having been dubbed as the Japanese restaurant who serves the best Ramen. We’ve always wanted to visit this Ippudo but the long line is kind of discouraging. We’re so glad that this is part of our tour. By the way, the chefs here at Ippudo are Japanese so if you’re looking for authentic Japanese food, then Ippudo is the right restaurant for you. We love the spicy Ramen because of its rich flavor (tho we prefer it spicier). Linguini Fini. We loved the ambiance. It’ll make you forget that you’re actually inside a Shopping Mall. Everything looks clean at Linguini Fini. We’re both pasta lovers and we’d love to try everything on their menu! Parpadelle “Nose to Tail Bolo” is worth trying. Rosanjin. This is my favorite among the 9 restaurants that we visited.I loved everything that they served! Too bad Miguel has to leave for work and didn’t had the chance to eat at Rosanjin but we’ll definitley come back. If you’re looking for the best red velvet cupcakes, then go visit Cupcakes by Sonja at the Ground floor of the Mega Fashion Hall. We had a short trip to Tim Ho Wan to taste their Pork Buns. I’ve tasted this before. I would say there’s nothing spectacular about this buns, or is it just me? Eri Curry. This is a must try for curry lovers with big appetite! I couldn’t even finish their sampler or maybe I was just too full after visiting several restaurants. I would love to come back and challenge my self to finish a whole serving of their Katsu Curry. Tripple O’s. I love their milk shake. I felt bad because I can no longer eat their sampler, good thing they offered a take-out. I got the chance to eat their sampler at work. I can’t believe their patties still taste good even after a few hours ( I ate the sampler during my lunch break ). They serve sweet potatoes instead of fries so it’s healthier and their burgers aren’t oily. I was giddy when I saw different colors of Mochi lined up at Mochi Cream Cafe. It was mouth watering. I loved everything and was even lucky enough to take home some Mochi. Everything is picture perfect and yummy. I love their drink and their Matcha Dacquoise. Mochi Cream Cafe. 4/F Mega Fashion Hall. Our last stop – Kool Kids. I enjoyed watching them make Nitrogen Ice cream. I was like a kid waiting for my ice cream to be served. Kids and kids at heart will surely love Kool kids. To Nutella lovers out there, you shouldn’t miss Kool kids on your next visit to Mega Fashion Hall! I was extremely happy after the Food tour! I met new friends and tried different restaurants in 4 hours! Now, I know which restaurants we should revisit on our next trip to Mega Mall. Do you have passion for food or does your product(s) fall within the following categories? 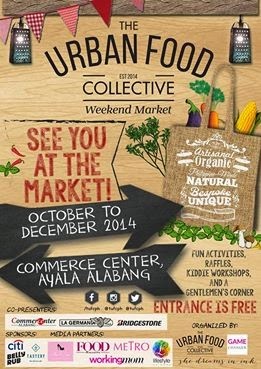 Then, you should be part of The Urban Food Collective Weekend Market, happening in CommerCenter, Alabang this October to December 2014. All applications will be screened and approved by The Urban Food Collective Team. Note that they have limited number of booths so we suggest that you submit your applications as soon as you can. Here is the official press release for this event. The Urban Food Collective (TUFC) understands that food brings people together, that food is at the center of some of life’s best moments. Its vision is to be the premiere food community in the country. Current, informative, and educational, TUFC aims to be the food hub where people can share their passion for gastronomy. TUFC’s online community will feature everything food – articles and recipes, exciting deals featuring the country’s best culinary fare, and “The Urban Food Collective Marketplace” which will retail unique food items and implements. To bring the online community even closer together, TUFC will champion various food lifestyle events, where foodies can meet and indulge in their passion for unique flavors and gustatory delights. What’s love for food when you have no one to share it with? Let The Urban Food Collective be your community for food. Stay hungry for the good things in life. Check out The Urban Collective social media accounts and official website for more details. I am a proud Laking Kitchenomics. As a kid, I read almost everything that is available at home and that includes materials from Del Monte Kitchenomics. I also love watching their segment at Eat Bulaga that I would try to imitate them at home whenever I get the chance to cook with my mom. 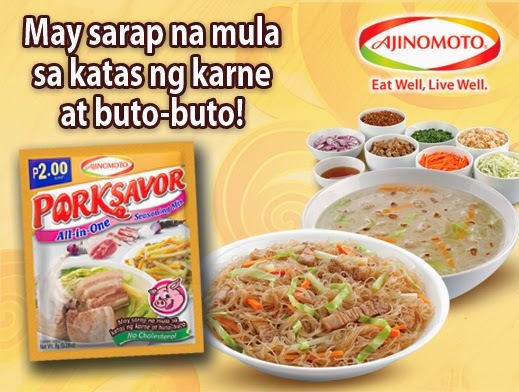 Most of our food at home are cooked with Del Monte products. Del Monte pineapple and Del Monte tomato and spaghetti sauce are always included on my mom’s grocery list. Are you a Laking Kitchenomics too? If your answer is yes, then you’ll love what I am about to share. In celebration of Kitchenomics 30th Anniversary, Del Monte has prepared a whole day nationwide simultaneous mall based event in Manila, Cebu and Davao. Over 180 moms will participate in the Cook Off activity to cook a total of 365 recipes using Del Monte plus other exciting activities. I have already signed up! If you want to be a part of Laking Kitchenomics cook-off challenge, kindly send an email to Ms. Ann Quiogue (annquiogue@gmail.com). Sign up here to get recipes weekly, and get a chance to join exclusive events & promos! 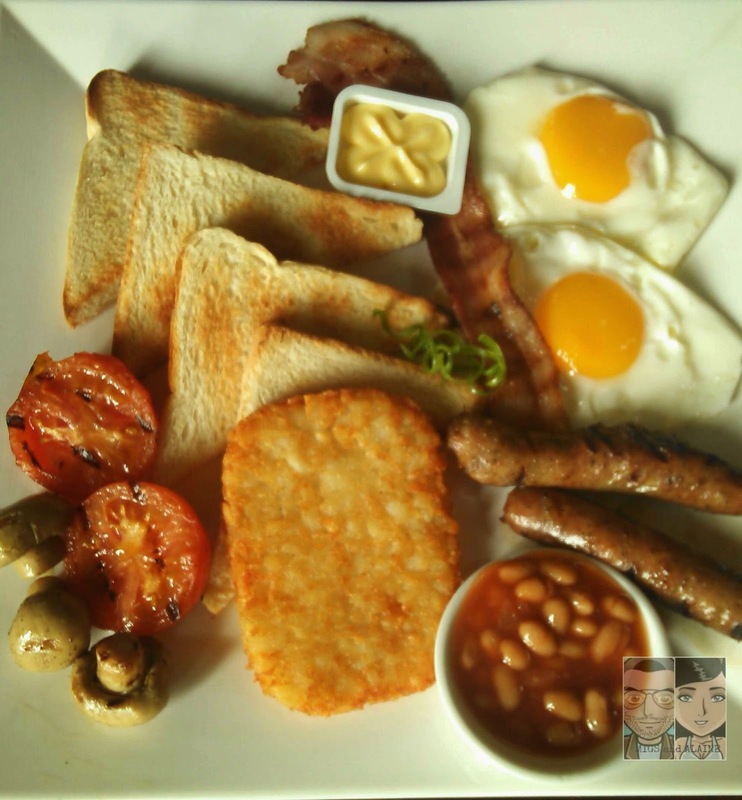 Look no further, Skippy’s bar offers the best big breakfast from 9AM to 3PM. So, whether you’re coming from work, too lazy too cook or you just wanted to dine in the afternoon and have your favorite breakfast, Skippy’s got you covered. Big breakfast comes with 2 eggs, Bacon, Baked Beans, Tomato, Mushrooms, Hash Brown, Toasted Bread, Butter and Unlimited Coffee/Iced Tea. This is how I want my eggs cooked but I would trade one egg for another strip of bacon. Haha! I don’t find anything special with their pancakes, except that it can be shared by two and it’s served with unlimited coffee or orange juice. I want to eat pancakes with unlimited maple syrup. LOL! Steve (the owner) said he doesn’t put mayo on his potato scallops and suggested that I try their salt with sugar sidings and I didn’t regret following his suggestion. Generous serving too! This can be shared by 2-3 people. Dim Sim virgin no more! I can finish 3 pieces of this. I’m surprised that it has veggies inside. You can also have it steamed or fried. I might go for a steamed Dim Sim on my next visit. My favorite toppings, Pepperoni, Ham, Black Bacon, Ground Beef, Pitted Olives, Cheese, Mozzarella, Onion, Jalapeno, Anchovies, Bell Pepper in one pizza! I can finish this whole pizza in 10 minutes, that’s how good it is. My kind of burger! Wondering what this tower is made of? Aside from the burger bun, you get a homemade beef patty, burger, cheese, lettuce, onion (cooked), beetroot, egg, bacon, pickle, tomato and pineapple. Ooops, sorry for the blurred photo. Don’t be deceived! This Shepherd’s pie made from fresh ground lamb and vegetables is a MUST try. I love seafood so, this is definitely a hit for me. I would probably request a spicier version next time. Another generous serving. Beer battered white fish deep fried to its crispness, served with chips. Their steaks are fairly priced. Even if they they didn’t cook the steak the way I want it which is medium rare, I just can’t help but munch on these close-to-perfect steaks. I will come back for some pinkish meat. One of the best sisigs I’ve ever tried! Pork is crispy and worked perfectly with other ingredients. It’s super tender and the mashed potato along with barbeque sauce just made this the perfect baby back ribs for me. I love the texture of Skippy’s cheese cake and the lemon twist makes it more delish. 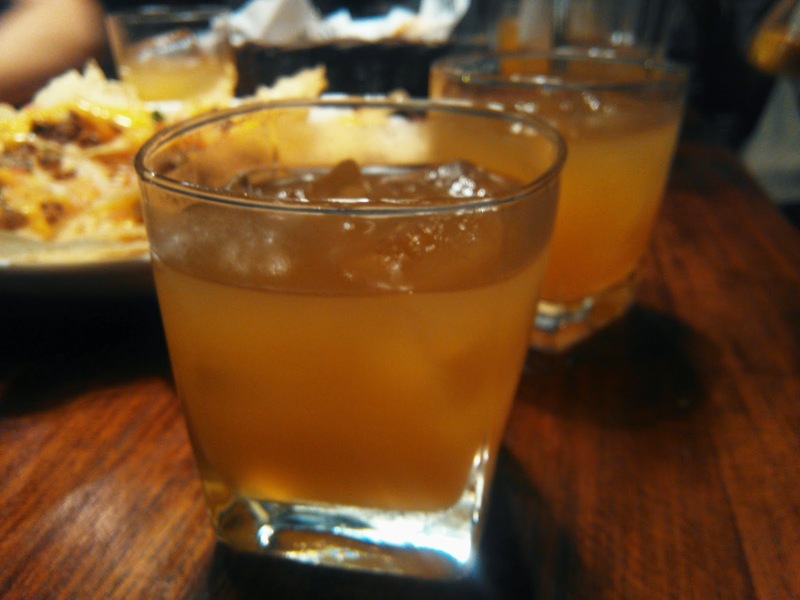 This vodka based drink will make you believe that heaven is for real. Whatever they put on this drink is superb! Just in case one you want more. haha! Skippy’s is the perfect place for team buildings or intimate gatherings and they have all your MLB and NFL games too! The only issue that you may encounter would be looking for a parking space. They only have street parking so, you better come early if you plan to watch a game. This is one of the best restaurant reviews that I’ve ever been to. The owners are sweet and very accommodating. Skippy’s Bar and Grill is located at Unit 1-8 THE FORUM, Federacion Drive corner 7th Avenue, Bonifacio Global City. If you’re looking for a unique Filipino dining experience, then Chef Arch’s Lime restaurant is the place to go. This restaurant is situated at a quiet place in San Rafael St., Mandaluyong City, just a few blocks away from Mandaluyong City Hall. Established in 2007, Chef Arch’s Lime restaurant offers a wide variety of street food with culinary twists. To start off, we were served with papadums (Indian Style Nachos with Pico de Galo) as we were getting to know our fellow bloggers. We love how thin and crispy these tacos are. 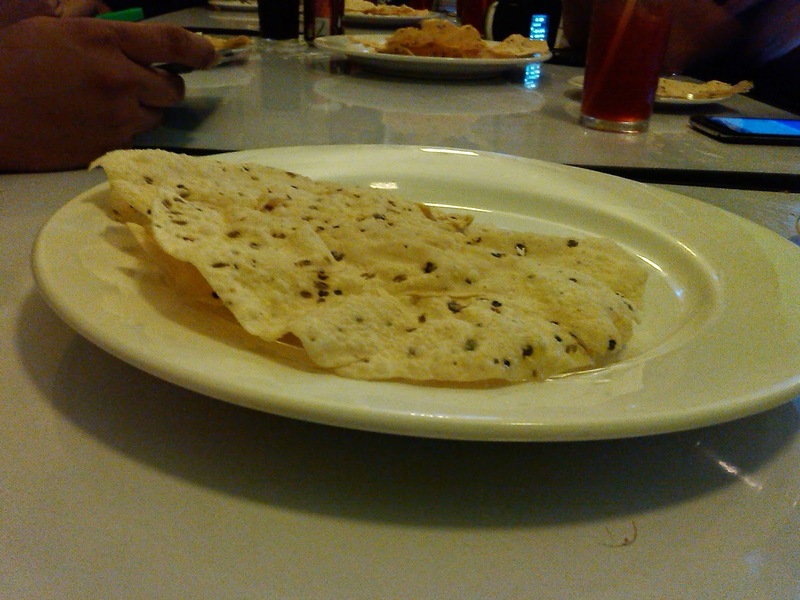 It has this distinct taste that Indian cusine lovers would enjoy. Although it doesn’t come with a sinamak dip, we tried dipping Balut in redwine sauce to sinamak and it tastes like heaven! These looked like large meatballs in real life. We thought it would be weird to eat dried balut but this dish proved us wrong. Whoever invented kwek-kwek is such a loser for using orange food color. Lime’s Quail egg tempura looks classy served with Soy Mirin Glaze and sinamak for your satisfaction. Who loves Ihaw-ihaw? We do! Chef Arch’s Lime’s barbeque platter is to die for. Their sauce is the best we’ve ever tasted. But mind you, these are so yummy that you can eat everything even without sauce. Mexican Nachos. Guess who almost finished the whole plate! Worry-free scramble! I remember being scolded by my mom whenever I buy ice scramble after school. Chef Arch made sure that their ice scramble are not only safe to eat but tastes good as it looks. Because it is our first time to dine at Chef Arch’s Lime, we thought that the restaurant review will end with the Ice Scramble. Well, because it says, “street food na pinasosyal” and we’re already full! After a couple of minutes, 2 Pizza variants were served. Sadly, we didn’t get to taste the Crispy Isaw Chicharon Pizza but our fellow bloggers said it was good. the second variant is four cheese pizza with truffles. We love truffles so, we will definitely order this again on our next trip to Chef Arch’s Lime. For us, Kesong Puti Stuffed Chicken Breast w/ Mash & Jus is the yummiest or maybe, we are just bias because we love chicken! This is heaven for us. Well, hello crispy pata lovers! This is a crispy pata twist that you will surely love! Chef Arch said that they had the pata de-boned then had it stuffed with some yummy embotido. Definitely a dish made with love. Osso Bucco Kare Kare is our most awaited dish. We’ve heard a lot about this one-of-a-kind kare-kare. The meat was tender and we love how the veggies were half-cooked but we find the meat a little salty so eating it without the shrimp paste is the way to go. Last dish was Hot & Spicy Chili Chicken Wings. Could feed a group of two to four depending on your appetite. We love how this dish was perfectly cooked but we hope they make a spicier version too. Our favorite part! Cake tasting. Believe us when we say that each variant was perfectly done. Thank you Chef Arch for inviting us! We will definitely come back and try more of your dishes. Our 5 year relationship brought us good memories and a lot of calories! We both love food but as we grow older, our metabolism slows down. This year, we promised to be more cautious of our diet. Of course, we can’t say no to some family gatherings or some restaurant reviews but we made a promise that we will start eating healthy at home. I was privileged to be given the chance to try The Good Box meals for one day. Migs and I both have jobs so, preparing healthy dishes at home is a challenge. Good thing, I learned about The Good Box…eating healthy has never been this easy! It was raining cats and dogs in our area when The Good Box PH called to ask for some directions going to our place. I bet their rider had a hard time looking for our address due to the bad weather. I wanted to cancel the delivery for the rider’s safety and because my shift will start 3 hours from their call. I didn’t have an idea that they deliver food pretty late. But too much for the intro, the following day, I came home and opened their meals and was impressed with their presentation. They delivered meals with a total of 1200 calories, just enough calories that I need for the whole day. 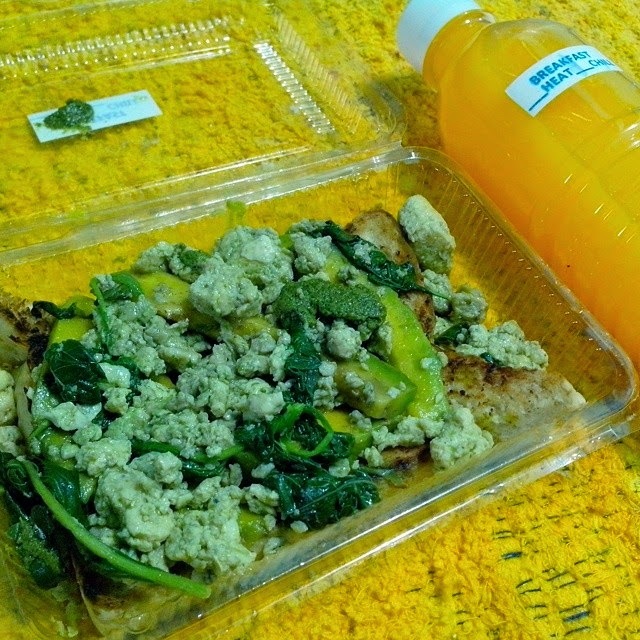 For breakfast, I had Pesto Scrambled eggs with spinach and avocado, whole wheat toast and a fruit juice. Mixing avocado with scrambled eggs is just awesome but I didn’t finish everything. I don’t trust eggs that were already cooked for more that 4 hours (even if it was preheated). I guess, I’ll have to request them to change this meal next time I order from them. AM snack: Fresh homemade smoothie. I started making this kind of smoothie at home. It’s refreshing and yummy too. Lunch: Ginger and Lime chicken. This meal looks dull but this is the yummiest for me. I love the combination of lime and ginger plus, the chicken is perfectly cooked. I didn’t get to finish the brown rice tho. PM Snack: Mini Mango crepes. OK, so this is a reminder that eating crepes is not bad but this should be the standard serving size for me. Imagine eating a healthy gourmet type pesto pasta? I didn’t realize that I failed to take a photo of my last meal. You can choose between six (6) different calorie menus for everyday of the week: 1200, 1500, 1800, 2100, 2400 and 2700 calories, to help you achieve your goals, whether it be slimming down, maintaining your weight, or trying to gain it. They have an in house nutritionist so you are sure that they count the calories right. They also offer Special Meal Programs: South Beach DIet, Diets for Medical Conditions / Special needs and 5-day Juice Cleanse. I just hope that they also deliver meals during day time so more BPO employees like myself will benefit from it too. For programs and pricing, please check out The Good Box PH website. Book your Good box now! My sister-in-law came home from Tokyo last week with her daughter and she thought of letting her taste Filipino food like our version of sweet and chili spaghetti. Because i have stocked Ajinomoto products at home, I volunteered to prepare sweet and spicy spaghetti for her little one. The ingredients include ground pork, tomato sauce, hotdogs, salt and pepper to taste and half kilo of pasta (she chose elbow macaroni because her daughter is attracted to it). Her daughter doesn’t like onions and garlic so instead of cooking it the usual way, I didn’t saute the ingredients. Instead, I boiled the ground pork to a liter of water and added Pork Savor All-in-one seasoning mix until it’s tender. I added hotdogs and mixed the tomato sauce and let it simmer for about 45 minutes with gradual mixing so it won’t stick to my sauce pan. So, you won’t have to worry about any odd taste on your food and it saves you time as well. Using pork in spaghetti gives you the sweetness that most Filipinos kids love. You can try it with other dishes too! Do you have picky-eaters at home? We’d love to know how you prepare your dishes for them.